In celebration of the UAE's 47th National Day. In the past decade, the UAE has come to be known as a center for development and innovation in the region. Today, as the country celebrates its 47th National Day, we highlight some of its greatest accomplishments in the past decade. 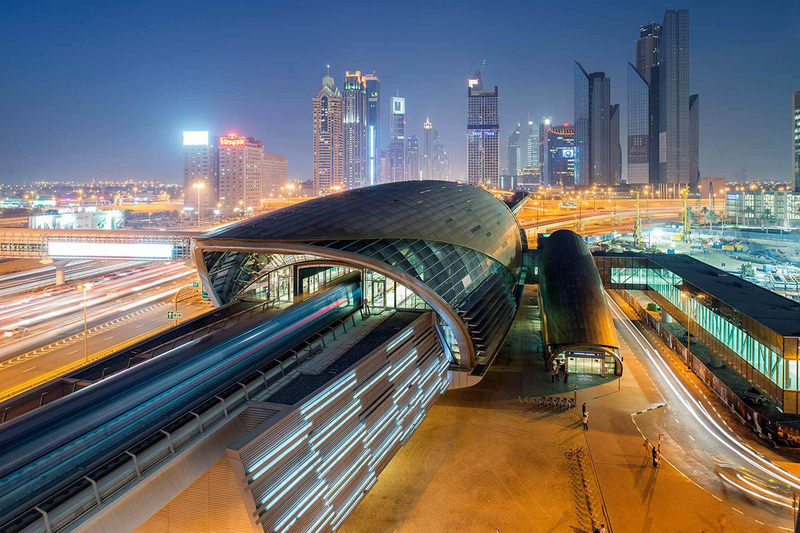 In 2009, the Dubai Metro officially opened in the emirate and has since provided a great affordable way for people to commute across the city. It&apos;s considered the longest fully automated metro network in the world, boasting a "75km-long track." In 2013, Dubai was announced as the winner to host the Expo 2020 event at the 154th Bureau International des Expositions. "The emirate defeated rival bids from Turkey&apos;s Izmir, Brazil&apos;s Sao Paolo and Russia&apos;s Yekaterinburg following three rounds of closed voting," Arabian Business reported at the time. The Expo, which is over a century old, is a platform where several of the world&apos;s most important inventions were launched. Dubai will become the first Arab and Middle Eastern city to host the expo in 2020. In 2014, the UAE officially established a Space Agency and set an ambitious goal of launching a probe to Mars. In a tweet announcing the incredible project, Sheikh Mohammed bin Rashid, the Prime Minister of the UAE and Ruler of Dubai, stated that the country plans to send the first Arab spaceship to Mars by 2021. In 2016, the Gulf state and NASA signed a deal to work together to reach the Red Planet. In 2016, the Dubai Canal, a $545-million project that had been three years in the making, was officially opened. At the time, Sheikh Mohammed bin Rashid announced the news in a tweet in which he wrote: "We celebrate the canal, an architectural, commercial and geographical triumph." In 2016, the UAE was named as the most generous country in the world for a second year in a row. According to data from the Development Assistance Committee of the Organization for Economic Co-operation and Development, the country contributed 1.26 percent of its gross national income on development aid. The Gulf state was followed by Sweden at 1.09 percent and Luxembourg at 1.06 percent. In 2016, the UAE appointed its first-ever minister of happiness, Ohood Bint Khalfan Al Roumi. The ministry&apos;s responsibilities include promoting and sustaining happiness throughout the UAE. Dubbed as the first universal museum in the Arab world, the Louvre Abu Dhabi opened its doors to the public in 2017. It showcases more than 700 artifacts and art pieces from around the globe, including Leonardo da Vinci’s La Belle Ferronnière. In 2017, Sheikh Mohammed bin Rashid announced the launching of the UAE&apos;s first-ever Artificial Intelligence Strategy. The plan is the first of its kind in the world and aims to make the UAE the first in the field of AI investments in various sectors including transport, health, space, renewable energy, water, technology, education, environment, and traffic. The strategy is the first project to be established under the country&apos;s Centennial 2071 plan. Shortly after announcing the scheme, the UAE appointed the world&apos;s first Minister of Artificial Intelligence, 27-year-old Sultan Al Olama.